The first lawsuit has been filed after Monday's tragic apartment fire in Chicago's Roseland neighborhood that left four children dead. An attorney for Nathaniel Johnson, the boyfriend of the children's mother, says it's a disaster that shouldn't have happened. "Witnesses who live in the building, people in the area, corroborate what the city said — that the building was unsafe,” said attorney Martin Dolan. Most residents were able to escape the blaze at the 18-unit apartment building on the 11200 block of South Vernon Avenue. Once outside, some said they saw two adults screaming for children still inside. The bodies of four children -- two boys and two girls -- were found in a front bedroom on the third floor, Deputy Fire Commissioner Michael Fox said. Dolan has obtained a court order to preserve the fire building until he can get his own inspector inside. It is his contention that were it not for the building's multiple violations, the four children would be alive. The city said they found over 70 violations in the building when they visited there Tuesday. City inspectors also paid calls to building owner Tahir Sheikh's other Chicago buildings, including one in the 800 block of South Ingleside and one in the 7900 block of South Harvard. Both buildings are occupied, and city records indicate neither location had been inspected since 2011. 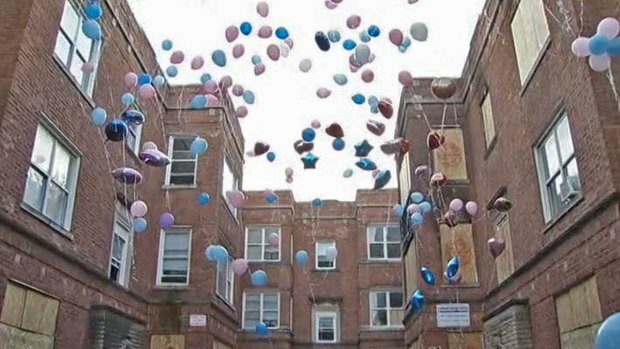 09/08/14: Carl Clark, father of three of the four children killed in the fire, spoke just before a large balloon launch outside the apartment complex on the 11200 block of South Vernon Avenue. 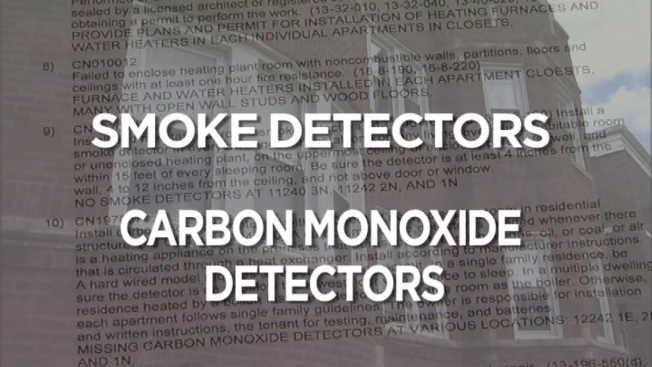 Inspectors say that when they visited Tuesday, they found more violations, including a blocked exit and problems with smoke detectors at the Ingleside building, problems with smoke and carbon monoxide detectors at Harvard property and a faulty chimney, a blocked exit and more problems with carbon monoxide detectors at a third property on South Cornell. NBC 5 Investigates has obtained county records, which show that Sheikh has taken out big loans on his buildings, nearly $1 million more than what he paid for those properties.